Are you wanting some new makeup? 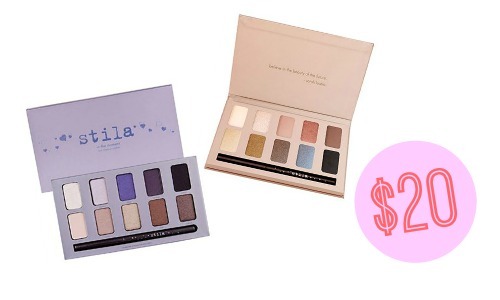 Stila Cosmetics is currently offering a fun deal on some eyeshadow palettes! You can get the In the Light or In the Moment eyeshadow palette for $20 (reg. $39). These palettes each include 10 different eye shadow colors, a Smudge Stick waterproof eyeliner, and a lookbook with tips and tricks.